I have had some humorous thoughts of late about my rubbing shoulders with Tibetan Buddhism in my life, like what rubbed off? Remember the old saying, "You can take the boy out of the country, but you can't take the country out of the boy." I feel a lot that way about the outer wrappings of Buddhism and Tibet. Don't get me wrong. I am not complaining, because it has been a wild and wonderful ride. And I am not retiring anything other than some of the outer non-essential trappings of the Tibetan dharma. After all, I am beginning to realize that I am American, not a Tibetan. Surprise, surprise. I wrote in an earlier blog, pointing out that you can't salt the salt and that no beauty is gained by gilding the lily. The same thing goes for the dharma. You can't "dharma" the dharma. Like the laws of nature, the dharma is just what it is. We can't add to it or take away from it, and any attempts to do this are off the mark -- degrading. God knows that I took to the dharma and to the Tibetan culture like a fish to water, and even swam upstream to find its source. I clung to everything Tibetan, traveled in Tibet both on its east and western sides, went on pilgrimage to sacred Buddhist spots in Nepal, China, and India, not to mention learning to read Tibetan script, and doing all manner of Tibetan Buddhist practices, and then some. I not only surrounded myself with dharma objects, I developed and (with help) ran a mail-order service for many years called "KTD Dharma Goods" for our monastery in upstate New York. We carried all the main practice implements, spent years transcribing and creating various dharma texts and you-name-it. 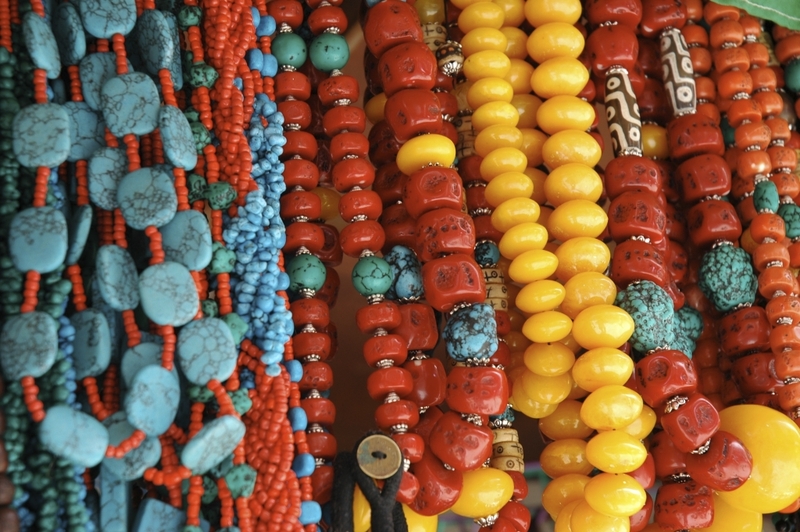 I sent our staff to Nepal and India to find the finest statues, scarves, beads, and etcetera. We spared no expense. In other words, I was immersed in everything Tibetan, much like Scrooge McDuck in his money bin. And luckily, through all of that paraphernalia, I actually also did some Buddhist mind-training practice. That's the good news. The bad news is that all of that dharma stuff, the paraphernalia, Tibetan or otherwise, took on a life of its own, gradually becoming something like a weight around my neck. That's the history, and I am just realizing it now. Some years ago I got a little spark and a glimpse of what the dharma was really all about, not just what it looked and sounded like. Suddenly I realized that here I was in the midst of this dharma "stuff," surrounded by all manner of everything Tibetan. I am not complaining, but I am starting to separate the wheat from the chaff, at least a little. After all, Buddhism was not always Indian and Tibetan Buddhism in America will not always be Tibetan. It will someday be American Buddhism, the same essential dharma, but just in American clothes. It's the old baby and the bathwater thing all over again. So nothing has changed in me, except perhaps the particular personality that I appear in. In fact, the dharma has taken hold of me enough that I now can pick through all of this stuff, hold fast to the dharma, while letting some of its trappings go. I am not about to become a dharma salesman, although I came close enough by my reckoning. And do you really believe that if I became a monk and you saw me in robes, that would help? I don't think so. I am not an expert on the culture of Tibet, but I am more than a little acquainted with it. In the history of Buddhism, the dharma-chameleon shuffles off where it came from and takes on the appearance of its host country. It's evergreen. The dharma is naturally and gradually becoming American. And so, here I stand on the brink of a new year, looking back, but mostly looking forward. I am reminded of the fact that when we erect scaffolding around a new home (while we build it), that when it's built, the scaffolding is removed. That is kind of where I am at right now, gradually starting to take down some of my dharma scaffolding so that I can better see the dharma that shines behind all of that. I am reminded of the old H.G. Wells movie "The Invisible Man," where as he takes off his clothes he gradually becomes invisible. Perhaps I am doing that with all the dharma trappings I have been encased in, beginning to discover that the dharma without any trappings (or with American trappings) is very comfortable just as it is, what the Tibetan's call "Tamal Gyi Shepa," the pristine clarity of the ordinary mind. And that's enough. Don't need the bells and whistles.